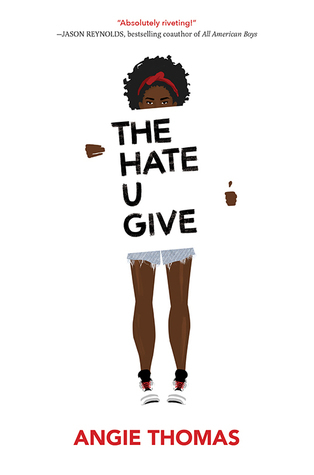 This week I'm waiting on The Hate U Give by Angie Thomas! There's been a lot of discussion about #ownvoices lately -- authors of diverse/marginalized groups writing books featuring characters representing those same groups -- and this is a great example of one! Angie Thomas is a black author whose book features a black young adult protagonist. The themes described in the blurb are not only timely to our current societal issues but make for an interesting plot. I've seen this book promoted on Twitter a few times -- which is how I first heard of it -- so I hope it'll end up being a well-written, enjoyable debut. Also, two side comments before I leave: 1. this cover is hella cute and I'm hella feelin it and 2. I saw it was a February release and I was like "Okay, cool, that's like a month and a half, that's so soon," but it's the END of February, literally the LAST DAY of the month.